How do you handle to stress? Does this sound like you? Maybe you just feel that way at times, which is certainly common in our overwhelming roles as school leaders. But, it doesn't have to be! 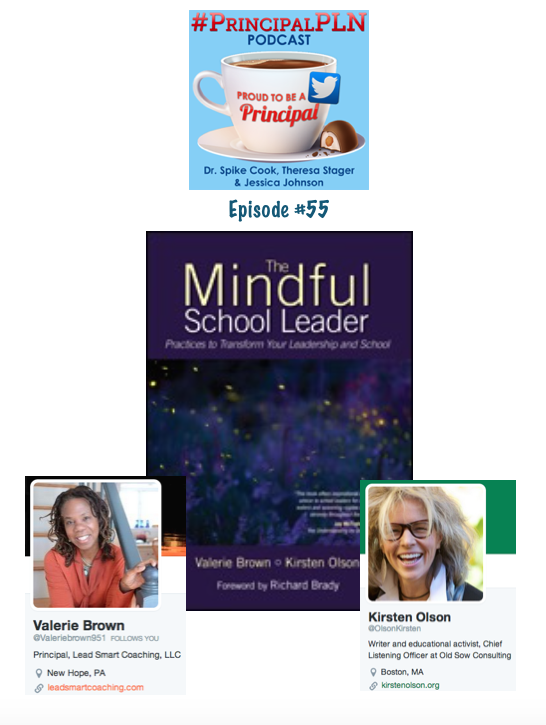 In this episode, the #principalpln crew have an amazing discussion with the authors of The Mindful School Leader. Kirsten Olson and Val Brown share their amazing wisdom with us on the importance of mindfulness for school leaders and how we can get started. We felt a sense of peace and calm come over us just in listening to them speak! You eat a meal every day...choose one meal to really taste your food. Put down your devices and taste your food! At times throughout the day, stop and notice your breathing. 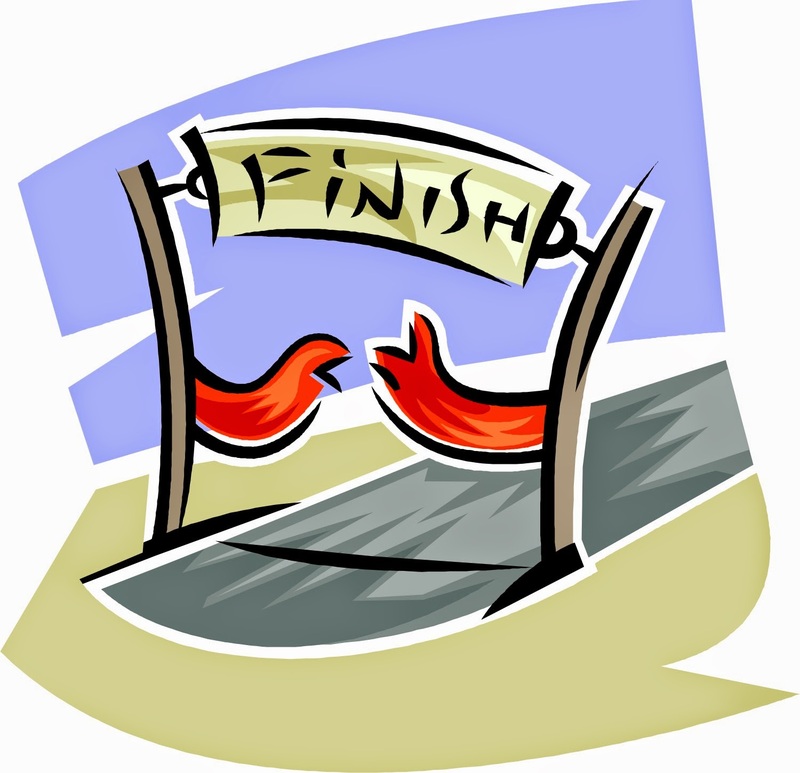 Make a commitment for 10 minutes of alone time in your office. Schedule these things so they become routine. Do you have your own tips to share with being mindful or just taking care of yourself so you can be a better leader? Or are you (like us) a work in progress and just starting your path to mindfulness? 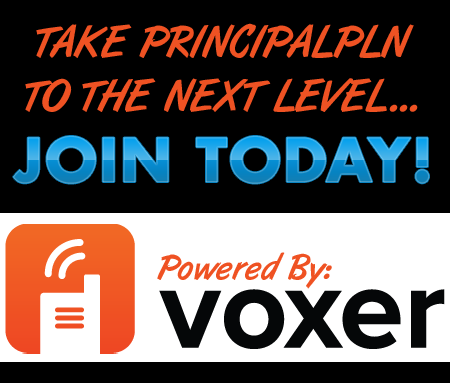 Share your comments below or tweet your tips/reflections/progress using #principalpln. Theresa and Jessica discuss the craziness of the end of the school year...everything we have to get accomplished at this point of the year and how to survive it. We also discuss taking care of yourselves...what grade would you give yourself for this? Bob Dillon joins us as we catch up and hear about his experience on the #pennlakota15 trip to learn about the education system on the Indian Reservations in South Dakota. You can learn more from Bob’s experiences in his blog at http://www.drrobertdillon.com/. 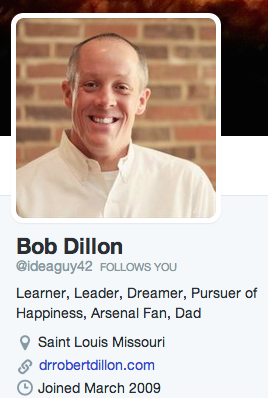 You can also check out Bob’s book: Engage, Empower, Energize. A blog post from Bob's daughter on from their trip: Pine Ridge Reservation and On the Way. Did you know that starting 2015-2016 school year 4th graders and their families can get in free to national parks, historic structures, ancient forests, etc! Check out: Every Kid in a Park.